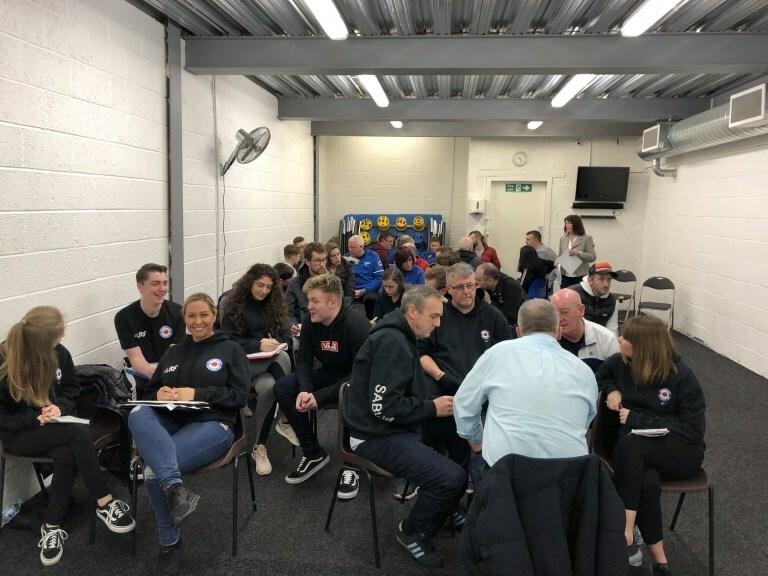 ITF Scotland held the first of this years Child Protection Courses at the Scottish Martial Arts Centre in Alloa on Sunday 24th February 2019. The Introductory Course (Level 1), was presented by Mrs. Angela Barrie, ITFS’s Child Protection & Safeguarding Officer. The morning’s course saw the 36 participants work together in a workshop type format, initially discussing what Safeguarding and Child Protection are, with Mrs. Barrie offering information as to the processes of the Child Protection system in Scotland, and the role that Disclosure Scotland, and the PVG Scheme play in keeping our children safe as well as promoting safe practice within our roles as Taekwon-Do instructors. 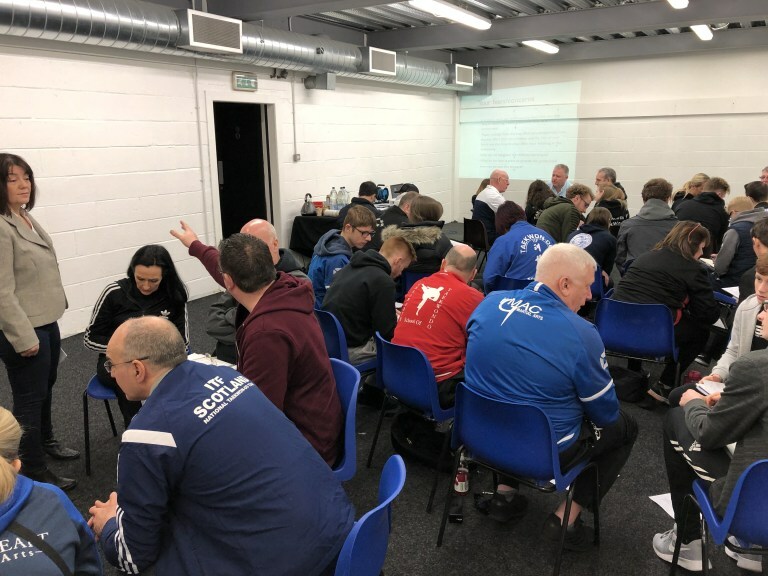 The participants were split into small working groups, and given a number of scenarios to discuss, and put forward what should be the best practise in each of those situations. This also gave an opportunity for Mrs. Barrie to answer any questions surrounding current legislation and law. On conclusion of the course, the participants were issued with their certificates valid for the next two years. 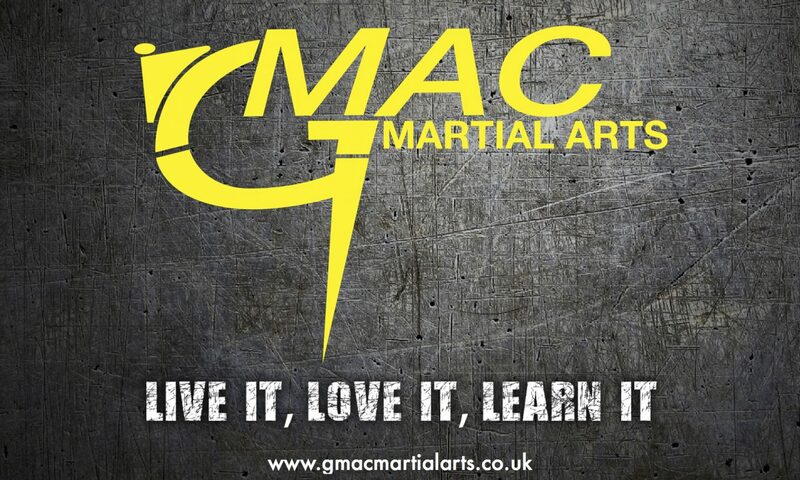 We’d like to thank Mrs. Barrie for her time in presenting todays course, and look forward to the next one in September (date to be confirmed). The next course will cover Safeguarding within Social Media and Internet/Online. Also thank you to Mr. Paterson and S.M.A.C. for hosting the event. 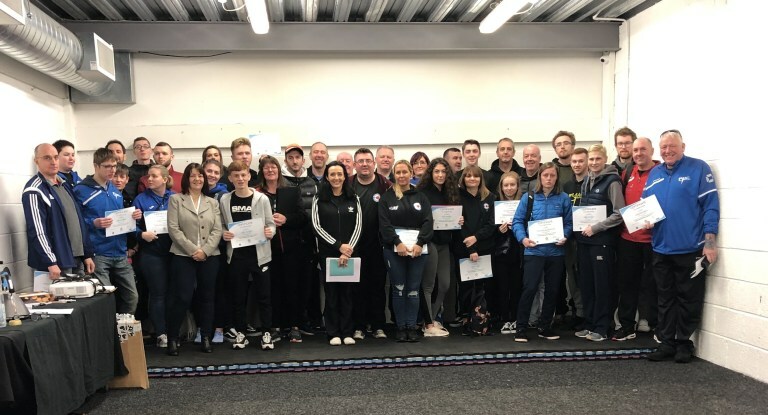 Pictured alongside the group are GMAC instructors who took part; Mr. John McIlvaney, Mrs. Gillian McIlvaney, Mr. Kieran Cain and Mr. George Russell.